SLN Pharmachem was set up in 1997 with an objective to provide technology based products (Intermediates) for Pharmaceutical, Cosmetic and Fine Chemical Industry. SLN Pharmachem is an ISO Certified firm (ISO 9001:2015) and has it's Manufacturing unit backed up by Professionals who are desirous in manufacturing new, difficult to produce molecules with the success to achieve best quality standards in the International Competition. SLN Pharmachem has a goal to develop a team which will cater to international needs of Customers looking for Intermediates and APIs. SLN Pharmachem has eventually developed a Customer base who are Multi National API manufacturing Companies. Manufacturing facility of SLN Pharmachem has it's concentration on manufacturing of products in the category of Intermediates (Intermediates for Bulk Drugs, Cosmetic and Perfumery Industry) as well as Bulk Drugs. Focus of Manufacturing is mainly to launch new molecules and also on Custom Synthesis. SLN Pharmachem is promoted by Mr. Abhay. 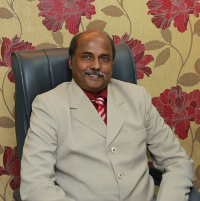 M. Parulekar (Graduate in Chemical Engineering and Chemistry) who is having more than twenty five years of versatile experience in the Chemical/Pharmaceutical Industry. His career involves great success in intermediates and API manufacturing unit. SLN Pharmachem has a policy to spend heavily on R&D facilities in order to develop New / Odd molecules. Such product range includes Drug Intermediates, Intermediates for Cosmetic and Perfumery Industry, Bulk Drugs, Fine Chemicals, Speciality Chemicals. SLN Pharmachem has Manufacturing unit in the Maharashtra state of India at Waluj (Aurangabad) and is well equipped with versatile Plant & Machinery with utilities required for Manufacturing of Pharmaceutical Raw materials, Intermediates. SLN Pharmachem has achieved Growth since inception and that too implementing Innovative ideas to concentrate on Research activities and to develop a good business culture. Success in producing new molecules has encouraged us to launch various Coumarin based intermediates, Intermediates/Chemicals for Membrane filter & Litho Graphics Printing Plates, Bulk Drugs like Warfarin Sodium, Intermediates for Cosmetic/Perfumery Industry like Acetovanillone(4-Hydroxy 3-Methoxy Acetophenone), Intermediates of Raloxifene Hcl, Ritodrine , Dolasetron , Tetrabenazine , Isoxsuprine , Salmeterol , Iloperidone , Linezolid , Bazedoxifene , Formoterol , Ziprasidone and Warfarin Sodium. We have also developed Products like N-Benzyl Acrylamide ,N-Isopropylacrylamide and N-Phenylacrylamide with high purity.